The King of Dance – Nataraja. 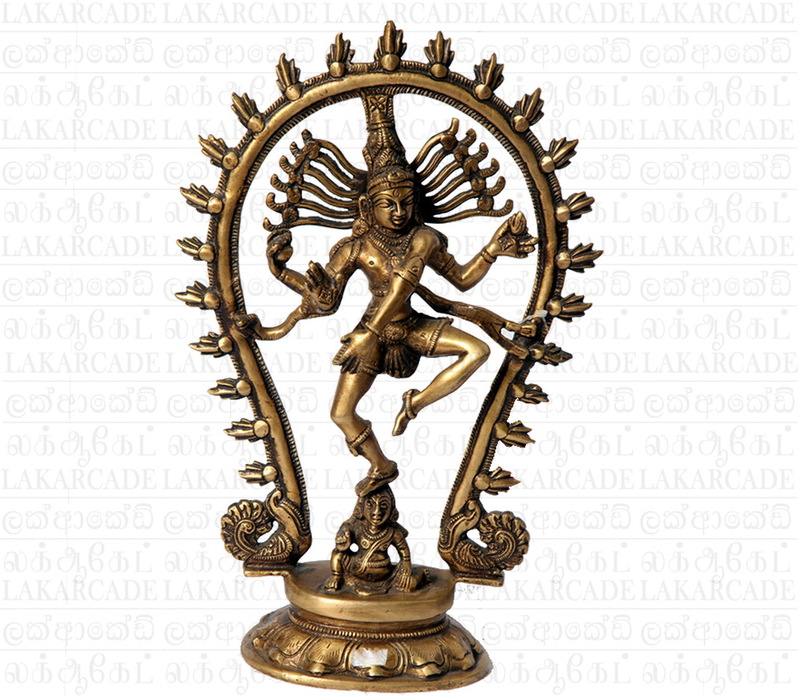 Nataraja or Nataraj depicts the third god of Hindus – The Lord Shiva. In this avatar Shiva – who is believed to be the destroyer of all evils is shown in the form of a divine dancer performing his dance. The dance signifies putting an end to an exhausted world and signaling the creation of a new world by the Lord Brahma, first god responsible for the creation of the universe. In this brass sculpture Lord Shiva is seen dancing in a ring of flames, while lifting his left leg and is seen balancing on demon that is believed to signify his ignorance. That is – when Shiva comes as Nataraj he is on his own, without any fear of any evils, or any obstacles. Nataraj is always depicted with his four hands. A cobra (snake) uncoils from his lower right forearm. The upper right hand holds a “Damru”, a small drum shaped instrument. The second right hand is in ‘Abhayamudra’ meaning protection against evil and ignorance. The upper left hand contains fire, symbolizing destruction. The second left hand points towards the raised foot which signifies liberation. More than any other metal, brass adds a shine to a home. Every Sri Lankan family owns a collection of traditional brass-ware, often a treasured heirloom passed down generations. This Oxidized Brass Elephant Bowl traditionally designed and manufactured in Sri Lanka. This Hanging Brass lamp is crafted by skilled Sri lankan Traditional Craftsman.